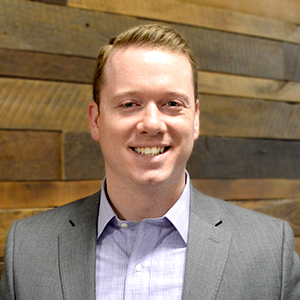 Nick Darrah joined the Northeast Indiana Regional Partnership in February 2018. His key responsibility is to support stakeholder relations across an 11-county region. Nick plays a critical role in the ongoing development and implementation of the Regional Partnership’s comprehensive funding strategy. Prior to joining the Regional Partnership, Nick worked in personal and commercial banking. He also worked as a Criminal Investigator with the Indiana Department of Revenue. After serving four years in the United States Marine Corps, Nick returned home to Fort Wayne and attended Indiana University-Purdue University Fort Wayne (IPFW) where he earned his degree in Political Science with a focus on International Studies, and minor in Spanish. In 2017, Nick returned to school to earn his Master of Business Administration from IPFW’s Doermer School of Business. Nick is a member of Young Leaders of Northeast Indiana (YLNI), where he co-chairs the Community Engagement and Advocacy Committee. He also serves on the Board of Directors for the Golf 2/4 Memorial Day Foundation, a Veterans nonprofit organization that honors the sacrifices of fallen Marines and their families. Nick has known his wife, Emily, since the 6th grade. They have two daughters, Charlotte and Amelia. They also have a large fluffy Great Pyrenees, Archie. Nick is a Veteran of the United States Marine Corps where he served as an Infantry Rifleman with 2nd Battalion 4th Marines. His service took him to Japan, the Philippines, Singapore, Kuwait, Iraq and Australia. It's no secret that Nick was a Star Wars nerd before it was cool. He would constantly annoy his older sister as a child by watching the original trilogy on an endless loop.